I will admit it up front—I am in awe of Navy SEALs. My brother-in-law was a career Naval officer and, once upon a time, my sister ran the officer’s club at the Naval Amphibious Base in Coronado, CA, home of the SEAL Command. Through them, I have met a number of SEALs, each as impressive as the next. I have heard SEALs speak to audiences in which I sat, and I have spoken with SEALs while sharing a beer or several. I will never forget the time one SEAL told me there were 8 ways he could kill me with just his little finger. True or not, I absolutely believed him. So, I fully admit I suffer from hero worship. Now that my confession is behind me, let me state without equivocation that SEAL teams are the most effective fighting forces on the planet. I have always wondered why, so I’ve read as many books by and about SEALs as I could find. I just finished The Navy SEAL Art of War, by Rob Roy, a retired Chief Petty Officer and long-time member of SEAL Team Six—the best of the best. Drawing on lessons learned as a SEAL, Roy applies the lessons to corporate America. The lessons make great sense to me, though I confess to perhaps reading them through the prism of my admiration. But I wanted to share a couple of lessons Roy shared—lessons from both his SEAL experience and also from his corporate training experience. Practice. Practice. Practice some more. And then Practice even more. “Close Quarters Combat [hand-to-hand] is one of the most difficult things a SEAL does. Something as intense as hand-to-hand fighting requires that an individual be honed to a razor’s edge so that actions aren’t debated or deliberated over but are performed without hesitation.” He explains how this razor’s edge is achieved: “when you are well-trained, everything becomes instinctual … Repetition (training) leads to memorization and memorization leads to instinct. Therefore, one must train their skills until they know a procedure cold. And then they must train some more.” If I look at my own performance critically, I see a massive failure in my own levels of preparation measured up to what should be required. It’s a good exercise for everyone, regardless of job description. There is so much packed into that small statement. What strikes me is the lack of ego in decision-making. Again, something to aspire to achieve. I find small teams more effective than solo cowboys. Teams neutralize the weakness of an individual. Teams reflect the maxim that 2+2=5. Why don’t we use them more in our business? Why are we so fond of silos? I am left to wonder how successful a business could be if it embraced the lessons of our most successful fighting force. But I know that some lessons they have learned are critical for me to learn. About the Author: Patrick Lamb is a founding member of Valorem Law Group, a litigation firm representing business interests. Valorem helps clients solve their business disputes and cope with pressures to reduce legal spend using nontraditional approaches, including use of nonhourly fee structures, coordination with LPOs or contract lawyers, joint-venturing with other firms and implementation of project management tools to handle lawsuits or portfolios of litigation. 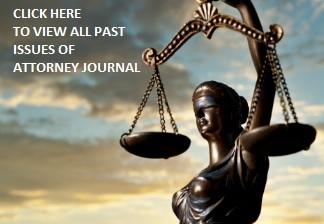 To learn more, please visit www.ValoremLaw.com.